Additionally, President Trump signed an executive order that will require colleges that receive federal research dollars to certify that they’re upholding the First Amendment. The executive order also will require the Education Department to post more student earnings and loan default data on the College Scorecard, and to put together a report on “risk-sharing,” the idea that colleges should be held financially responsible when graduates can’t repay their loans. MONDAY: PUBLIC SCHOOLS WEEK — The Learning First Alliance, an umbrella group of a dozen education groups, hosts Public Schools Week, including Capitol Hill events on protections for students with disabilities and church-state issues in education. MONDAY: FREE SPEECH IN HIGHER ED — The Bipartisan Policy Center holds a panel discussion on free speech and intellectual diversity in higher education. The event is a kickoff of the group’s Campus Free Expression Project. TUESDAY: CHILD ABUSE PREVENTION — A House Education and Labor subcommittee holds a hearing on strengthening prevention and treatment of child abuse and neglect. A federal law, the Child Abuse Prevention and Treatment Act, is due for reauthorization; Sen. Lamar Alexander, chairman of the Senate Health, Education, Labor and Pensions Committee, has listed the reauthorization as among his priorities. TUESDAY: CIVIC PARTICIPATION — The Thomas B. Fordham Institute holds the latest in its 20/20 speaker series, this one focused on schools’ obligation to foster a sense of patriotism and why a good education means an open debate that challenges a person’s ideas. William Damon of Stanford and Robert P. George of Princeton will speak. TUESDAY: WORKERS’ RIGHTS — The House Education and Labor Committee holds a hearing on protecting workers’ rights and “the need for labor law reform.” Several states passed laws in the run-up to the Janus decision last year to strengthen public sector union rights ahead of the Supreme Court’s decision to end mandatory union dues. WEDNESDAY: APPRENTICESHIPS — A House Education and Labor subcommittee holds a hearing on “innovations in expanding registered apprenticeship programs.” Apprenticeships have been one of few policies with bipartisan support in recent years. 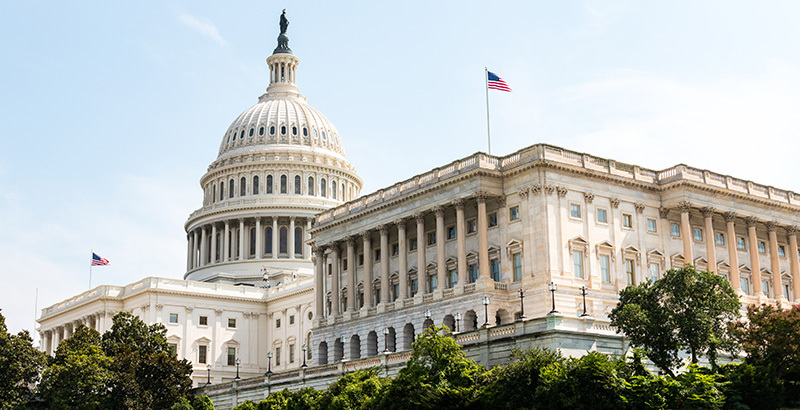 WEDNESDAY: BUDGET MEMBER DAY — The House Appropriations subcommittee opens a hearing for House Members to share their spending priorities in the Education, Labor and Health and Human Services departments.